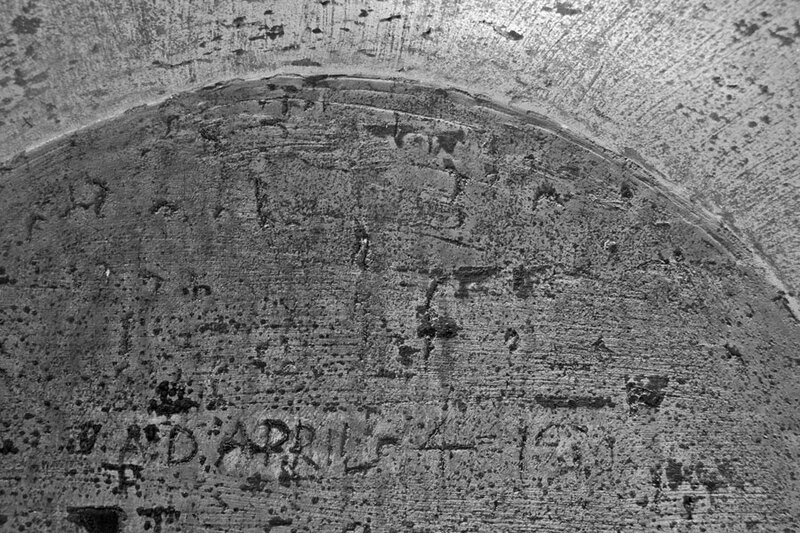 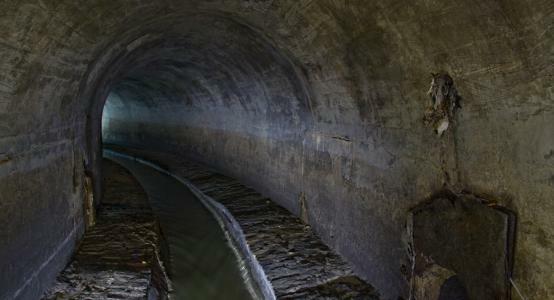 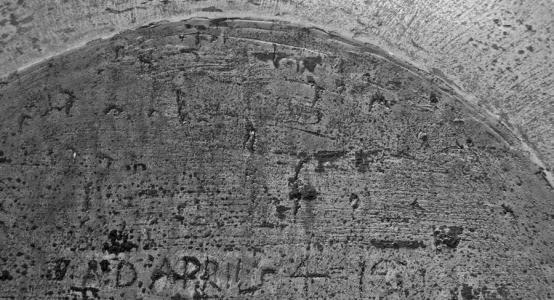 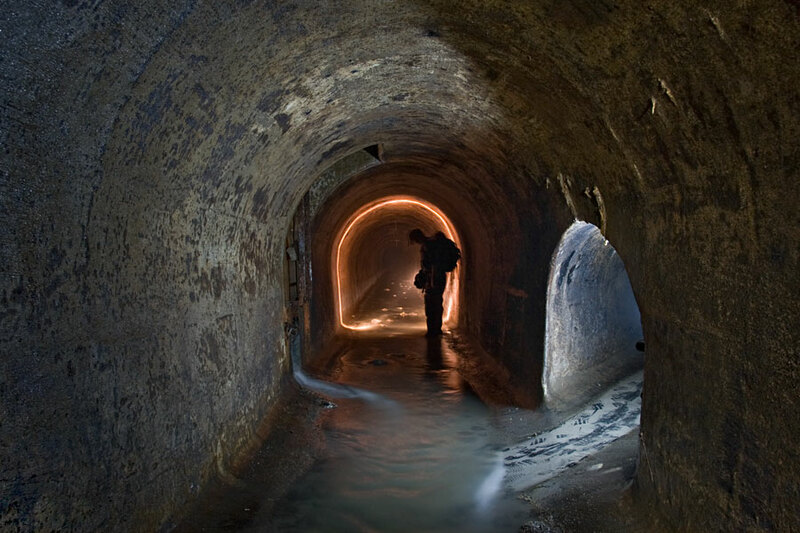 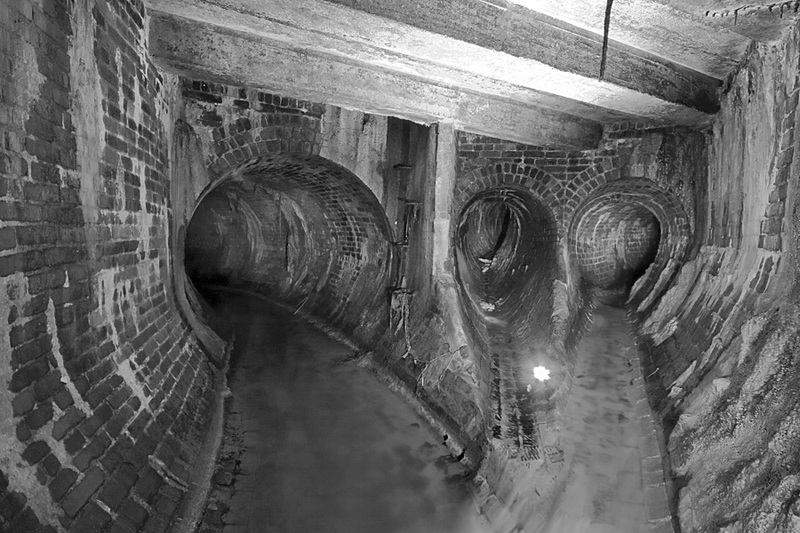 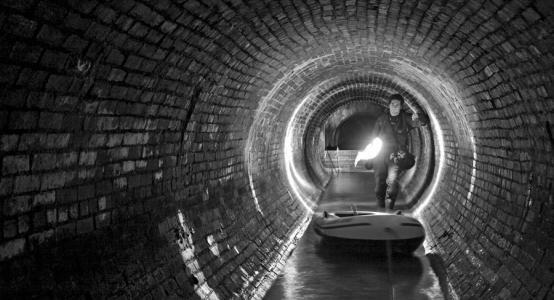 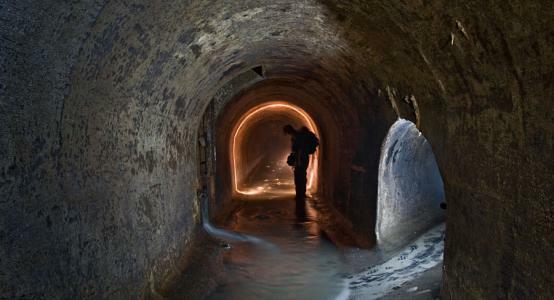 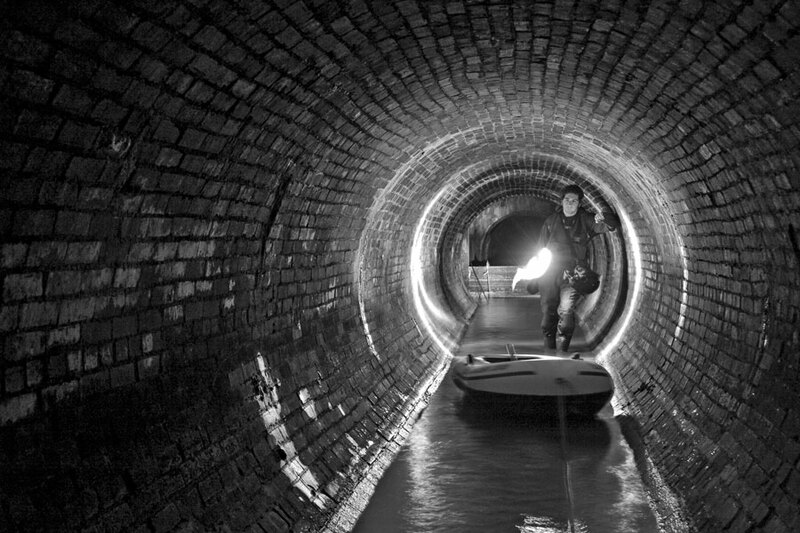 Beneath Kingston Road, in the East Toronto Sewer. 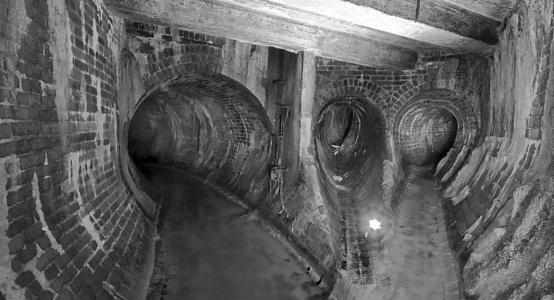 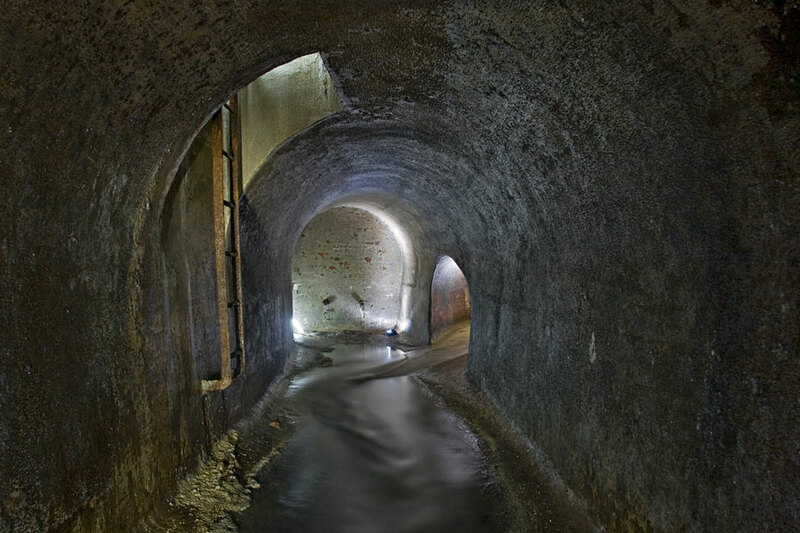 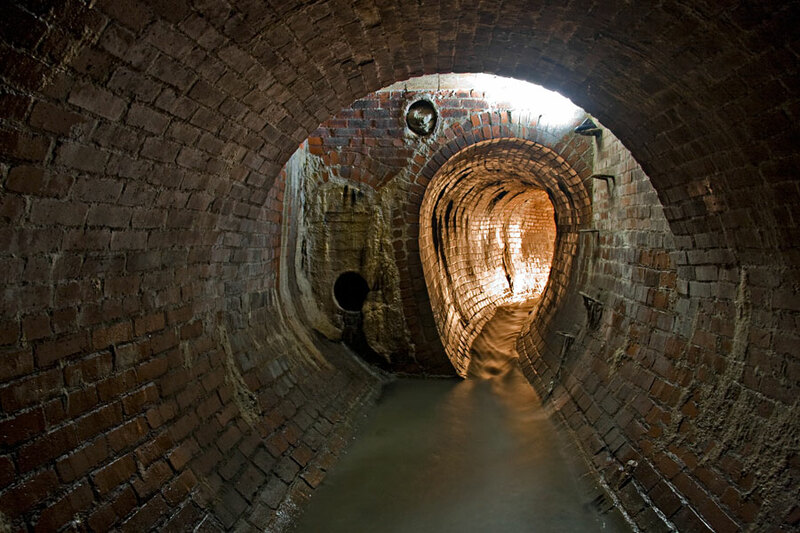 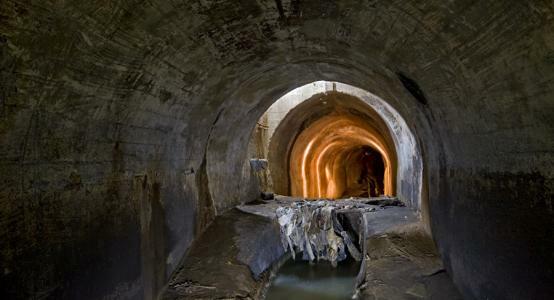 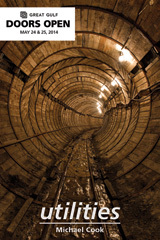 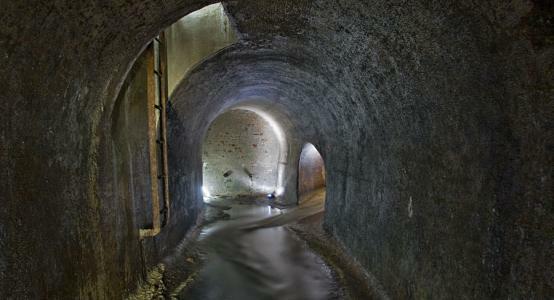 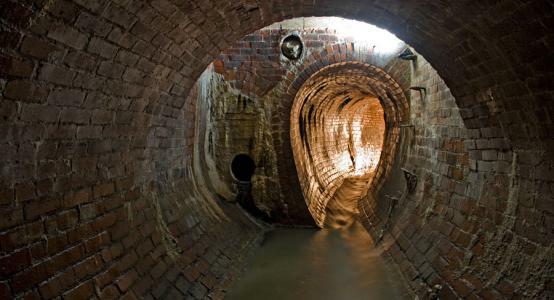 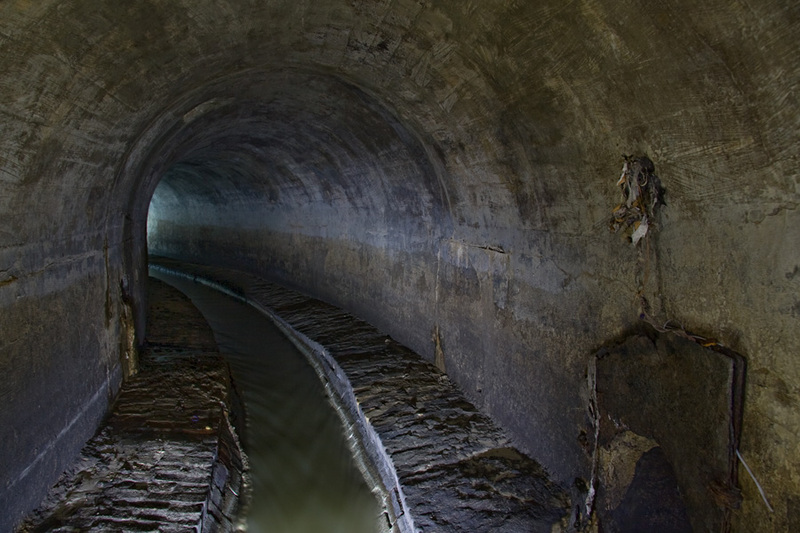 The East Toronto Combined Sewer serves the area around the southwest end of Kingston Road, and would have been pricipally built to provide sewer service for the former municipality of East Toronto, which was annexed by the City of Toronto in 1908. 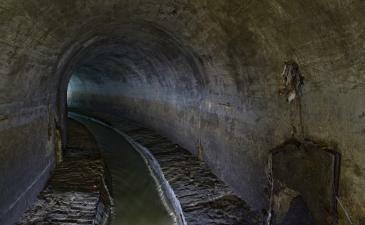 It is a concrete arch with a brick floor and central channel. 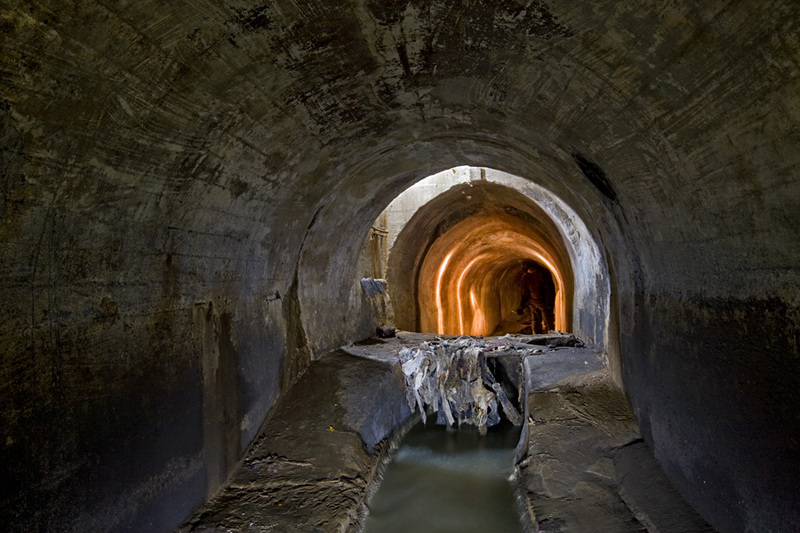 Near the intersection of Dundas Street and Kingston Road, the dry-weather flow is diverted by a weir into a much smaller sewer that takes it south to a larger sewer at Queen Street where it flows west to the Ashbridges Bay Treatment Plant.